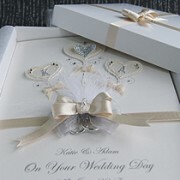 Personalise with your own greeting and wording. Each of my cattleya orchids are handcrafted from a mix of different pearl papers, enhanced with glitter accents and pearl detail. 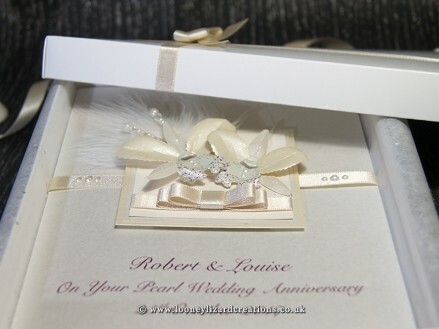 Your luxury boxed anniversary card will be further hand embellished with ribbon, beads, crystals and fluffy feather. 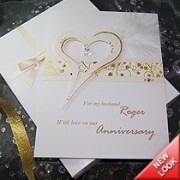 A paper insert, where your own anniversary message will be printed (can be left blank, if preferred). Your personalised luxury anniversary card will also come wrapped within a beautifully hand decorated gift box, finished with hand-tied bow and crystal/Pearl detail. 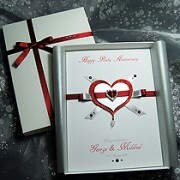 You can choose to personalise your keepsake anniversary card to your exact requirements, by adding your own greeting and/or insert message. 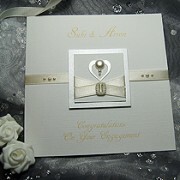 Please see the card sentiment options above to personalise the card. 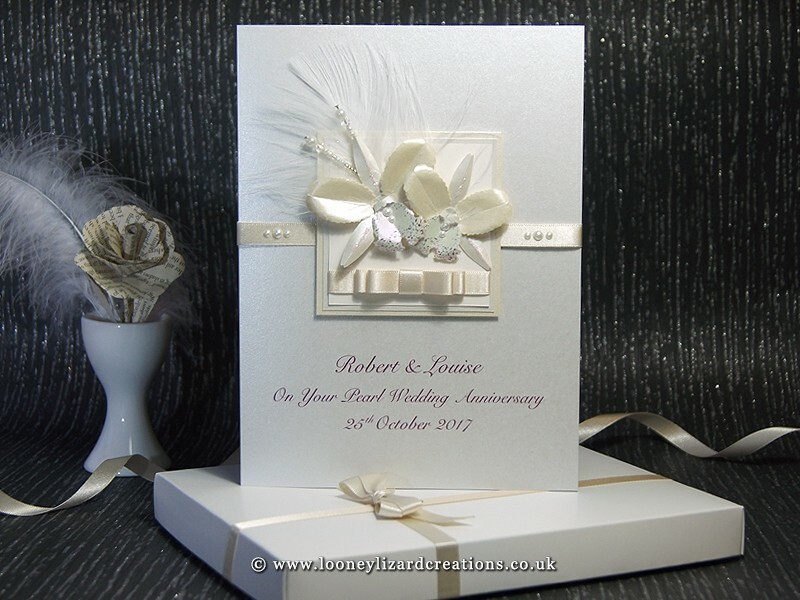 For card size and finish please see the ‘details’ tab above. Many thanks for your prompt delivery of this excellent card. My wife loved it and I will certainly be back in the future. Thanks you for my cards. There awesome....and I know my mum will be especially pleased. I bought this for my mother to give to my father for their 30th anniversary and we all loved it. Thanks v much ! i bought this for my parents wedding anniversary hoping it would be special. It arrived this morning and i was gobsmacked! what a beautiful card! thank you so much! I'll be back to order all my cards from yourselves in future, you should be very proud of your creations.